The fate of dolphin tours in Hawaii has been a hot-button topic in the islands for years. But, now the National Oceanic and Atmospheric Administration (NOAA) has put pen to paper and is proposing a ban that would, effecively, end the tours. Now, YOU have the opportunity to comment on the proposed ban and become part of the discussion that could ultimately end dolphin tours in Hawaii. For years, agencies and animal advocacy groups have tried to implement a ban on dolphin tours, especially those that allow guests to directly interact with dolphins. Now, the issue has come front-and-center again. According to The Garden Island newspaper, the NOAA and interested parties gathered recently on Kauai to discuss the ban. It was one of several meetings hosted by the NOAA Fisheries Department to air-out proposed rules on dolphin interaction. 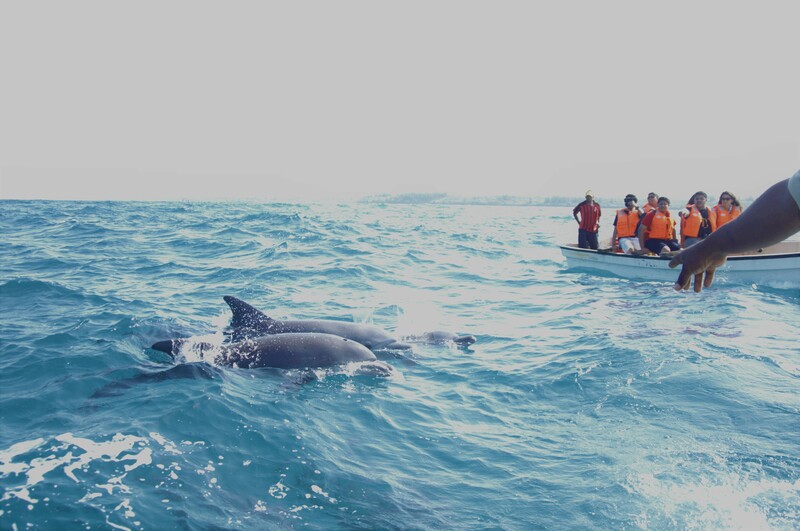 Dolphin tours are also active in other countries, such as in Zanzibar, where this photo was taken. About 40 people gathered on Kauai to talk about the proposed rules. So, what exactly is the NOAA Fisheries Department proposing? The Garden Island newspaper reports the agency is proposing a ban within two nautical miles from shore that would keep humans at least 50 yards away from Hawaiian spinner dolphins — and that includes swimming, snorkeling, and boating. According to the paper, the rules were proposed because dolphins are being harassed by tourists unloading from boats, mainly on the Big Island, into the sleeping habitat of the cetaceans. Dolphins feed primarily at night, Higgins to the paper, and sleep through the morning and into the late afternoon. The large number of people in the water disturbs their rest and is against the federal Marine Mammal Protection Act law against the harassment of marine mammals, according to NOAA. However, there’s been quite a bit of pushback from opponents, who say the dolphins are in no danger from dolphin tours in Hawaii. Members of the public also questioned the practicality of the potential law. 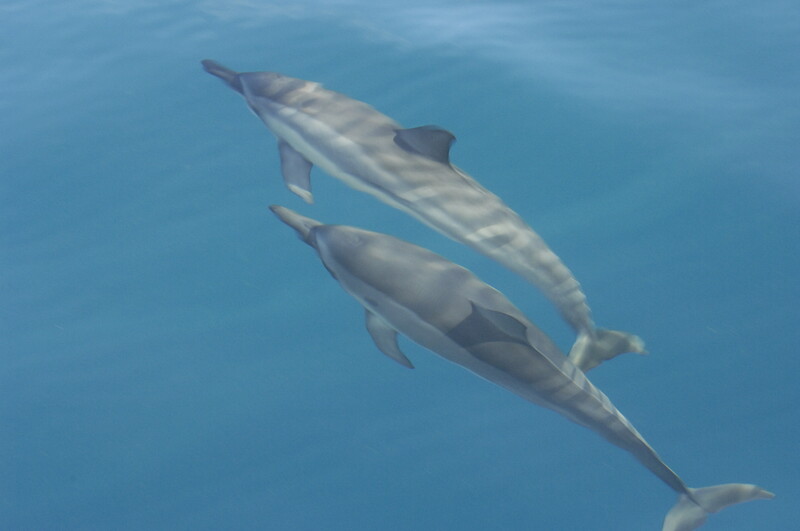 Spinner dolphins are the most popular dolphins for guests on dolphin tours in Hawaii. That's because they're abundant in Hawaii's waters and often friendly to humans. If there’s any question about the safety of dolphin tours in Hawaii, keep in mind that whale watching tours, shark adventures, and dolphin encounters also offer the chance to interact with marine life. Whether you’re for or against the proposed rules, YOU now have the chance to comment and be part of the discussion. The public has the opportunity to comment on the NOAA draft environmental impact statement on the potential regulation until Oct. 23 and those comments can be made electronically at www.regulations.gov/document?D=NOAA-2005-0226-0002 .